Owning a car and keeping it in top shape at all times is a daunting and time-consuming activity for many people. For most of us, we only pay attention to our cars when it breaks down. However, finding the best auto repair shop during these times can be frustrating and can further lead to bad decisions. Thus, it is only necessary that we look for a reliable and efficient repair shop even before an emergency breaks out. Among the hundreds of auto-repair shops in the country, how do we determine which of them is the best? 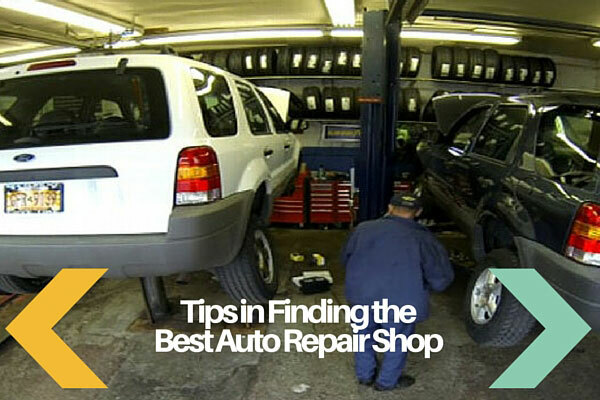 Here are some basic tips and guidelines you can use to help you find the best auto-repair shop in your area. The first thing you need to do when looking for a repair shop is to travel around your local area. Doing this would help you know each of the shop’s location, prices, and services. This could actually help you narrow down the possible shops you’d like to visit. You can also check online using sites like RepairPal and Angie’s List to see the reviews and comments made by other customers regarding the services and prices of the repair shops in your area. After checking out potential places, it is now time to compare the shops’ prices and offerings. This would give you an idea of how much you would have to shell out with regards to the services that you might need. Once you have selected the auto-repair shop that you think is best for you, the next step would be to pay them a visit. It is imperative for customers to talk to the mechanics and establish good rapport with them. Make sure that you ask questions and that the staff completely understand what you want. You might also choose to get opinions from other customers present there in order to gauge how that particular repair shop actually operates. Another consideration in finding the best auto repair shop is its facilities and equipments. Nowadays, many auto repair shops use state-of-the art equipments for car diagnosis and repair. Some of these equipments include handheld scanners, logic probes, diagnostic software, online repair information system, and many more. These innovative technologies help the consumer save dollars and a lot of headache in the long run. In addition, check out if the repair shop is associated with any repair associations to make sure that they are credible and trustworthy. Furthermore, look for technician certifications to ensure that their technicians are professional and well-trained. This information shows that the auto repair shop value quality work and strives to become better in their field. Finding the best auto repair shop can be simple and easy if properly planned and executed. All you need to do is to find auto repair shops in your local city, pay them a visit to see how they operate and consider their facilities and equipments. Although this may require patience and hard work on your part, following these tips can definitely help you save time and money if ever your car breaks down.